Rolling countryside at 600 feet average altitude. – On one side by the main Bordeaux producing area. 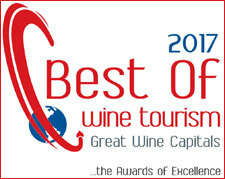 – On the other side the Vineyards from the Garonne Valley including the Graves and the Duras districts. 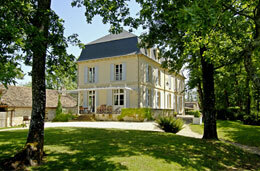 – Village of Monestier : 75 acres dedicated to Bergerac Reds and Whites AOC. 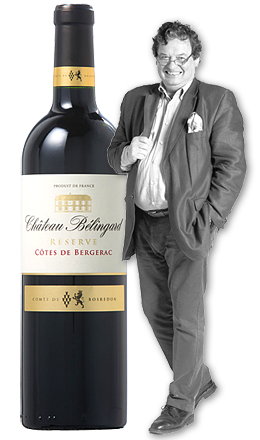 – Chateau Belingard Bergerac Red : Merlot, Cabernet Sauvignon, Cabernet Franc et Malbec. 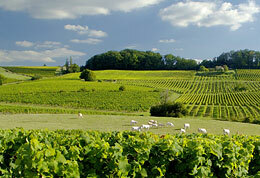 – Chateau Belingard White : Sémillon, Sauvignon Blanc, Sauvignon Gris, Muscadelle. – All the vines are single trellised. (1.90 m wide and 0.90 m between plants). At Belingard, we choose all the soft and environmental friendly way to cultivate our vines under the High Environmental Value certification. From pruning to harvest all the works are managed in order to minimize our impact on environment. Principal : The grapevine is a climbing plant that has to be tamed. The work carried out in the vineyard consists of concentrating its energy in the grapes rather than in the shoots and leaves. In many ways, this work is not unlike that of a gardener tending a rose bush. 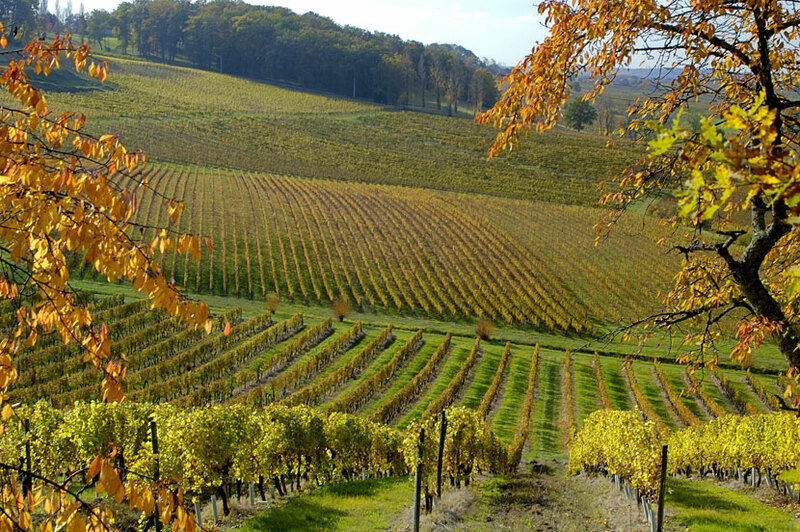 The vine follows a vegetative cycle that can be divided into a number of stages. The vigneron has to work according to these stages in order to respect the growth cycle of the plant and its environment. From November to February (the vine sleeps) Pruning. Leave one or two shoots bearing fruit buds on each vine Electric secateurs. March-April “Removal of the wood” (shoots). Grinding. Sécaillage. Attaching the shoots. Detach the old shoots from the wires. Grind the shoots. Repair the posts and wires. Attach the shoot to the first wire. Electric attaching tool, nylon or paper wire and iron wire. March-April-May Ploughing the soil and mechanical weeding. Plough between the vine rows to aerate the soils and eliminate weeds. Tractors and tools for ploughing the soil. April-May Epamprage. Remove the new shoots that are not fruit-bearing. Mechanical and manual epamprage. May-June Planting of new vines. Introduce young plants, grafted in nurseries, into the prepared and watered plots. Mechanical or manual planting. From May to August Phytosanitary protection. Protect the plant and the grapes from diseases and insect pests within the framework of HVE (high environmental value) agriculture. Treatment equipment. June-July Relevage. 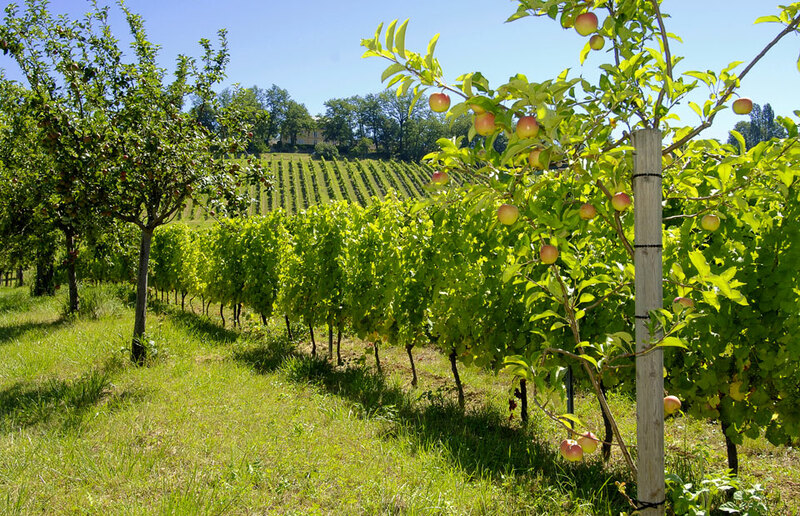 Ensure the vine branches are vertical to help the exposure and the ventilation of the clusters. Manual or mechanical work. July-August Leaf thinning. Remove the leaves around the clusters to enable them to ripen evenly. Manual, mechanical and thermic. September-October-November Harvesting. Pick the bunches of grapes. Mechanical and manual. In the early 2000’s, Château Bélingard adopted an approach instigated by the VIGNERONS INDEPENDANTS de France (independent wine producers of France), known as QUALENVI. Qualenvi is an ISO 9000- type process standard with an agronomic and environmental orientation. After obtaining the QUALENVI certification, we decided to fully commit ourselves to our Agro-environmental role. This is why we were one of the first agricultural operations in France to obtain “Haute Valeur Environnementale” (high environmental value) certification (n°VCE-3-039-1V1) in 2013. -Respect, protect and promote Biodiversity. -Reduce the negative impact of our business on human Health and Plant life. One of the pests of the grapevine and the grapes in Bergerac is a small larva (Eudemis or Cochylis), produced by the mating of a moth. In order to combat this pest without the use of insecticide, harmful to the surrounding fauna (bees, etc. ), we use devices that release the moths’ hormonal scents which reduce the moths’ fertilization and thereby the number of caterpillars responsible for the damage which causes grey rot. Another example is the geological wells that we dig on the parcels of land before they are planted, in order to determine the profile of the soil and thereby ensure that we use the right grape variety and rootstock, or potential clone.